Procrastination – noun – the action of delaying or postponing something (and I liked this bit of the definition) your first tip is to avoid procrastination. Now we all know that is sometimes easier said than done! I can find many ways to my delaying doing something that I should be doing. Sometimes it’s just not ‘to get out of’ doing it, it’s because I just need to wrap my head around the project a little longer. I did find this one a little hard as I really don’t have any here with me. There is fabric still in Oklahoma that I could pass off as procrastinating on. 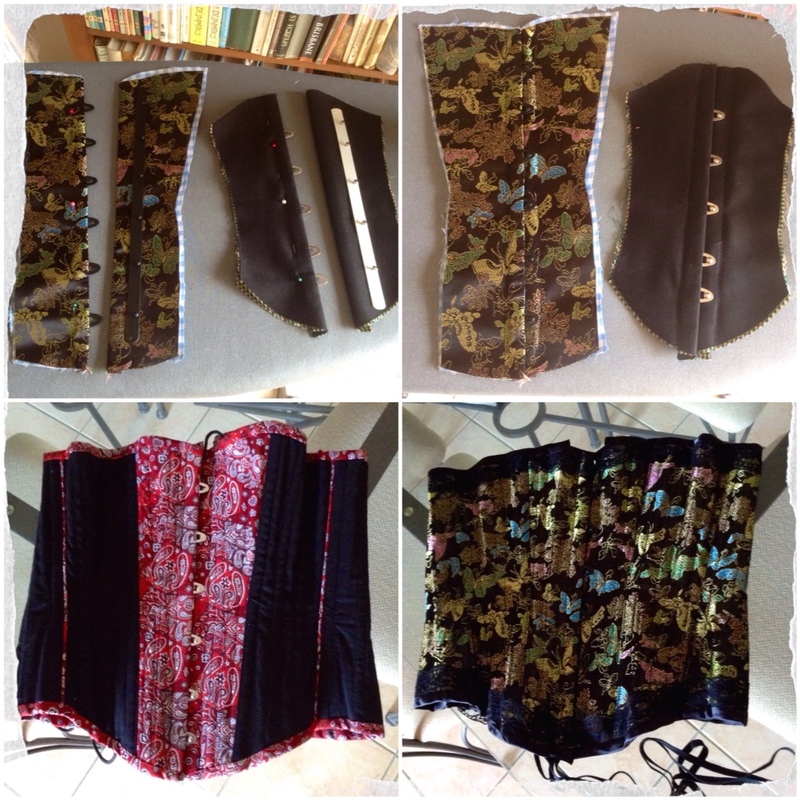 So for this portion I managed to complete 4 corsets that really needed to be done as some needed to be sent to the US. 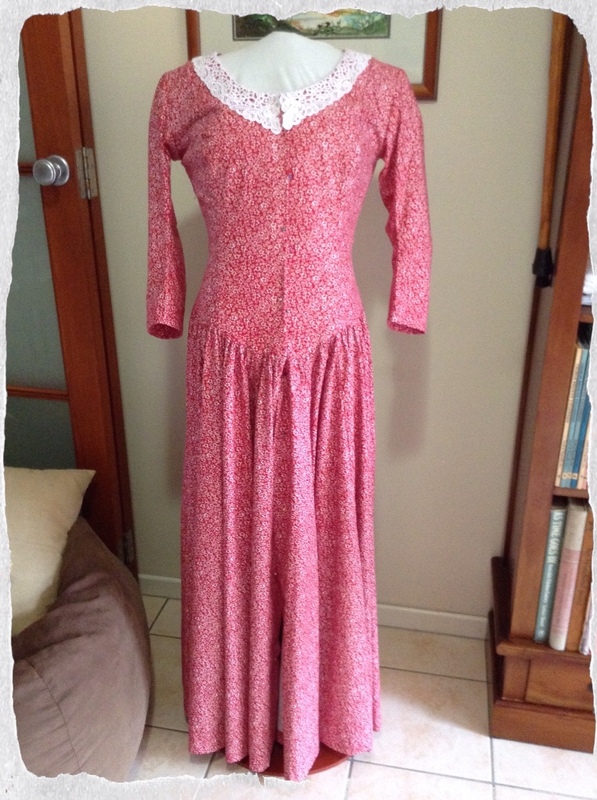 I also had in the list a version of Dr Quinn, Medicine Woman dress for a Texas friend, Skedaddle. Now although I could say it is period, I would prefer to say silver screen inspired. ……..many days later, yes been busy with Jack trying to sort him out, cutting out, sewing and helping a friend get back on track with sewing. Procrastination at its finest. 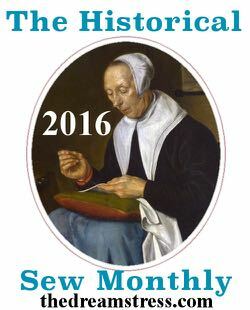 This entry was posted in Uncategorized and tagged Australia, friends, Historical Sewing, sewing. Bookmark the permalink. Thanks so much for my beautiful dress inspired by a dress I saw in Dr. Quinn Medicine Woman. We plan to attend EOT in June so I will need to complete the ensemble by then. I hope you and Jack are doing well!